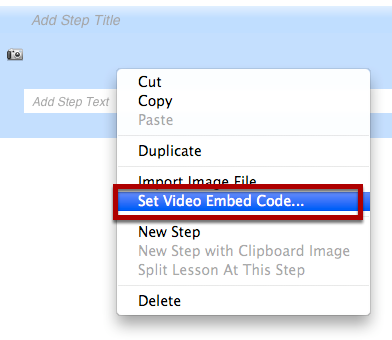 This lesson will show you how to embed content from Screencast.com into a ScreenSteps step. Log into your Screencast.com account and locate the screencast you would like to embed and click on it to view it's details. 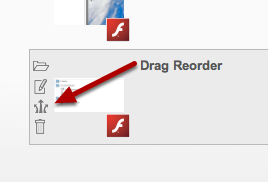 I'm going to embed the Drag Reorder screencast. 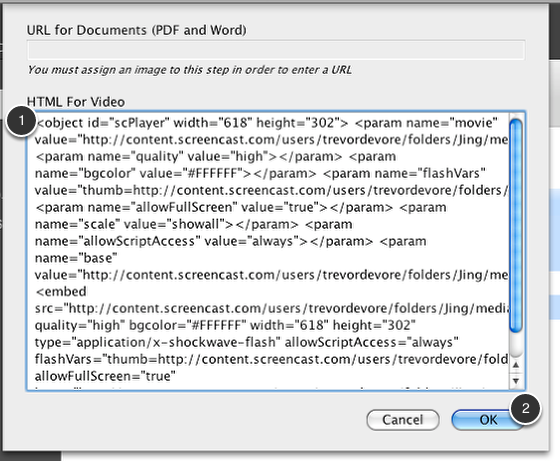 Click on the Show Details button in order to retrieve the embed code for the screencast. 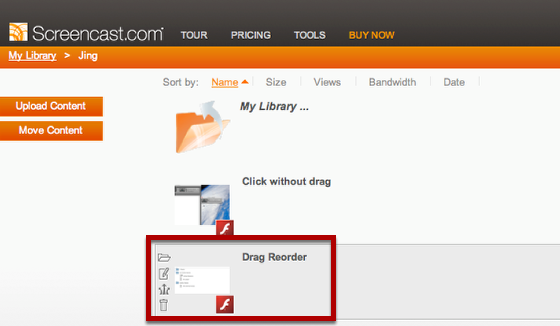 Select and copy the Embed Code to the clipboard. 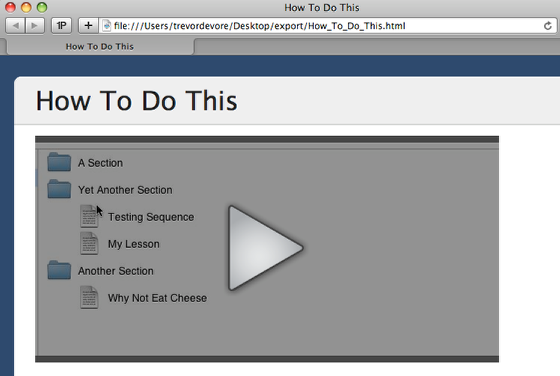 When you export your lesson to HTML, a blog or ScreenSteps Live it will appear in place of a step image. Great post - thank you ScreeSteps! I should mention that there's a shortcut to getting your content's embed code. When you hover over the content thumbnail, a series of icons show up that you can click - namely the Share icon (trident looking thingy) - which when you click will display the share options for that piece of content, including the embed code. 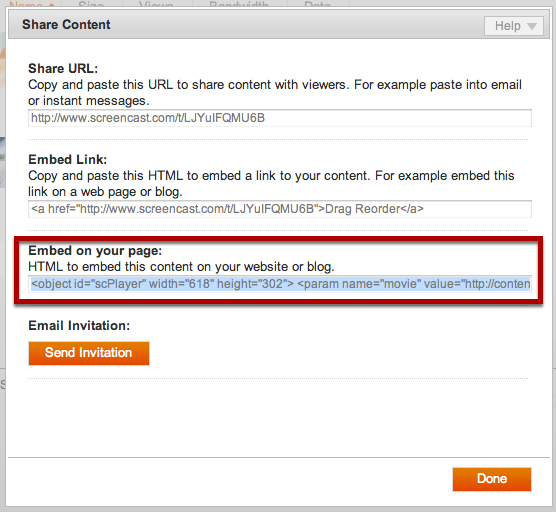 no need to load the content in the view page and click the details button just to get to the embed code on the Share tab. Hope that helps and as always, Happy Screencasting! Thanks Dirk! I've updated the lesson to use your tip. Dirk, any way to autoplay videos that we embed into our webpages? I know we can do it w/ YouTube videos by simply adding "autoplay=1". I've tried that with my screencast.com video and can't get it to work. Tom - Hi there! Yes, there is a way to add the "autoplay" option to Flash based Screencast.com embed code...only we call it "autostart" and the value has to be set to "true". Include the quotes around the string when you set the value, and make sure you add it to both the and the sections (which means there are four distinct references that need to be added to the existing code). Here's an example: http://screencast.com/t/UuFQDxKV Hope this helps. is there a way to constrain the size to fit within the optimum space for ScreenSteps? Thanks. @Hans: I haven't tried this but you could probably manually change all instances of "width" and "height" within the embed code to smaller values. Just make sure that you maintain the same width to height ratio.